Product prices and availability are accurate as of 2019-04-17 05:35:27 EDT and are subject to change. Any price and availability information displayed on http://www.amazon.com/ at the time of purchase will apply to the purchase of this product. American Lighting WM-C15-47-DB LED Outdoor Area Light, Wall Mount Series, Cantilever 15-LED Design, 37-Watts, 4700K, 1600-Lumens, Dark Bronze. The Wall Mount series from American Lighting is the perfect LED lighting for smaller areas that require maximum lighting output. 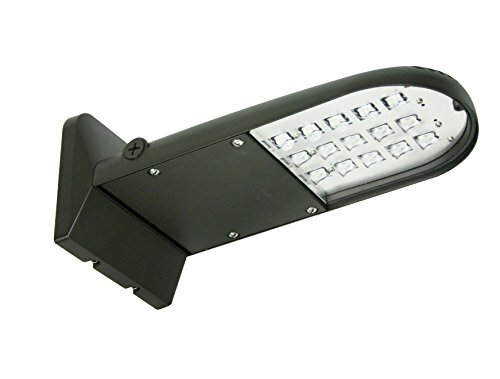 They are great for small architectural installations, loading docks and large entryway lighting. With their exceptional design, American Lighting's energy efficient LED exterior solutions are perfect for any application from architectural, light commercial, and residential. Founded in 1989, American Lighting, Inc. manufactures a wide range of lighting solutions for your residential, commercial and specialty lighting needs. We pride ourselves in being a lighting solutions provider by offering our customers a broad line of innovative and high quality lighting products. Continued innovation is a core strategic initiative at American Lighting, and we are committed to developing new products by utilizing the latest lighting technologies and designs. We pledge to deliver superior customer service by employing and training a team of highly experienced lighting professionals.